The course for the STMG Baccalauréat (Sciences et Technologies du Management et de la Gestion : Sciences and Management Technologies) takes two years (Lower and Upper Sixth). 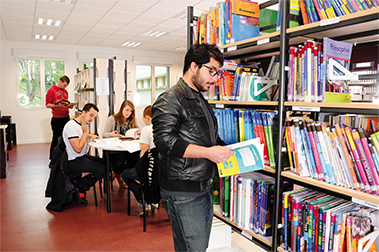 Once they have obtained this Baccalauréat, students can continue their higher education studies in the following areas : Business, Management, Economic Sciences and Administration. a new beginning for students, because the specific subjects taught are new and are not based on information previously taught.